Data from CCC-prepared estimates indicates crash-prevention technology like autobraking really hasn’t significantly affected claims — yet. 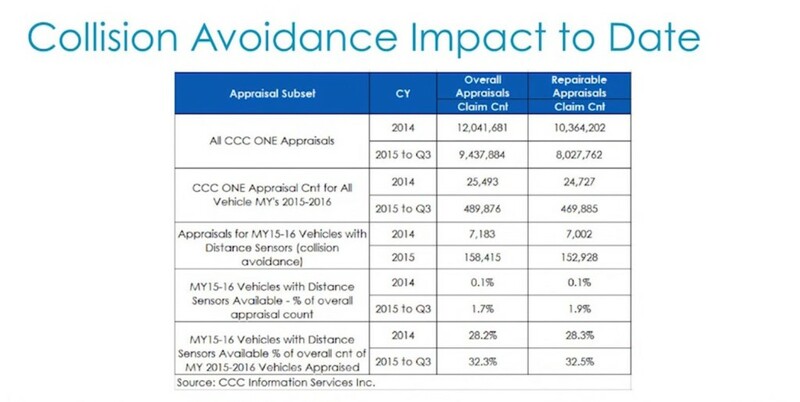 “The impact on auto claims to date has actually been pretty small from these crash-avoidance systems,” CCC industry analyst Susanna Gotsch said in CCC’s January industry trends video. 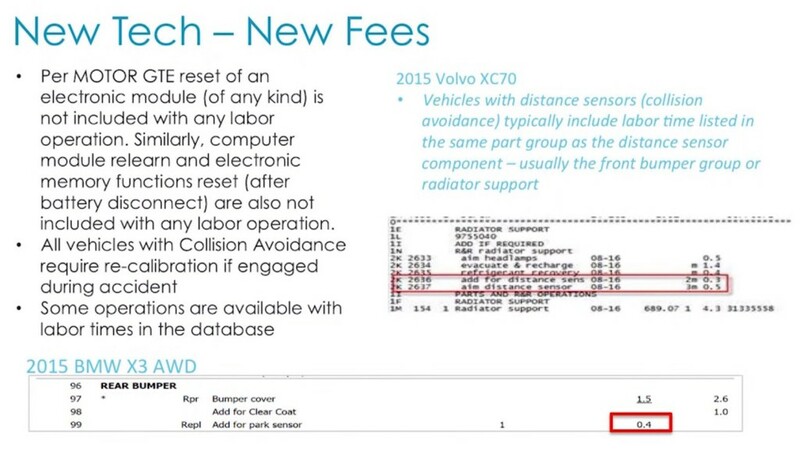 2015-16 model-year vehicles with advanced safety technology made up less than 2 percent of all CCC-recorded crashes through September of last year, Gotsch said in the video. But newer-model customers seem to like the technology, which will at least in the case of autobraking shift from an option to a standard item sometime in the future. About a third of all 2015-16 cars, trucks, and SUVs recorded in CCC data had crash-prevention systems aboard, according to Gotsch. For now, frequency would probably grow at 3.5 to 5 percent in 2016, and “maybe even 2017,” Gotsch said. CCC often classifies work related to the new technology as non-included operations, and estimators and appraisers should keep this in mind. “Time to recalibrate sensors and cameras, for example, is not included in replacement labor time, and may vary depending on the complexity of the system,” Gotsch said. 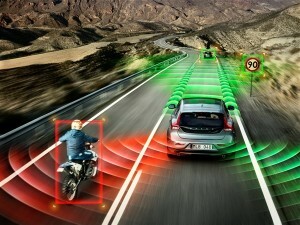 A presentation slide pointed out that all collision avoidance technology must be recalibrated if the technology activated during the collision. The same slide noted that CCC didn’t treat any electronics module resets, computer relearns or memory resets as included operations, though some other electronics operations have made it into CCC.